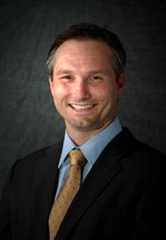 Dr. Jason L. Pyle, MD, Ph.D. founded Triton Algae Innovations, Inc. and Fabric, Inc., and currently serves as Triton’s Chairman and Chief Executive Officer. Dr. Pyle Co-founded Sapphire Energy, Inc. and served as Chief Executive Officer for its first five years, raised $350 million in private and public funds, created a first-in-kind partnership with Monsanto, and created $1 billion in shareholder value. At Sapphire, Dr. Pyle established a public-private partnership with multiple U.S. Government agencies to develop the largest renewable military aircraft fuel project in history. Prior to Sapphire, Dr. Pyle Co-founded Epoc, Inc. and served as its Chief Technical Officer. He Co-founded Pria Diagnostics, LLC and served as its Chief Technical Officer and Chief Medical Officer. Dr. Pyle also served in finance, technical and manufacturing transactions in Singapore, Japan, India, and China. Dr. Pyle has published over twenty papers in technical proceedings and respected journals, including both Science and Nature. Dr. Pyle has served as a Fellow at Stanford University and an Adjunct Professor of Bioengineering at Vanderbilt University. He is a frequent lecturer and professor in graduate education at University of California San Diego, splitting time between the Department of Biology and the Rady School of Business. Dr. Pyle holds numerous pending and issued patents in the engineering and biological sciences and has worked in diverse cross-discipline areas such as nanofabrication, optical engineering, and structural biology. He was awarded the Alzheimer Association’s award for excellence in medicine in 2002 and was named Innovator of the Year by Frost and Sullivan in 2006. In 2009, Dr. Pyle was given the National Innovator Award by the U.S. Department of Energy. He holds a B.S. in Engineering Physics from University of Arizona. He holds a Ph.D. in Molecular and Cellular Physiology and an M.D. from Stanford University.